Labrador Collars There are 275 products. Classic nylon dog collar with buckle. Perfect Labrador collar for daily activities in any weather. Rust-resistant nickel-plated hardware. Handmade of double-ply nylon. Carefully stitched. Keep your Lab under control with safe and secure nylon collar! Leather dog collar of classic design for Labrador Retriever. Sound and safe for Lab's health leather strap. Well worked edges. Rust-resistant nickel-plated buckle and D-ring. Narrow width. Traditional Labrador collar for walking, exercising and training. Awesome vintage and luxury design dog collar for Labrador from famous new collection by the handwork mark "FDT Artisan". Special for comfortable and beautiful lifestyle with your dog. 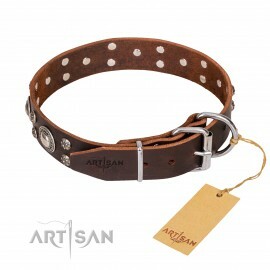 Soft oiled genuine full grain leather and chromium plated details is a real present for your pet's great life. 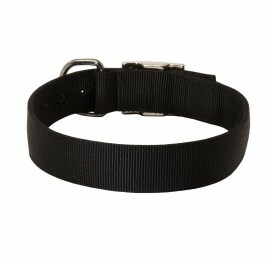 Choose this classic nylon collar for Labrador, if you look for somethig practical and durable. Optimal nylon top quality material. 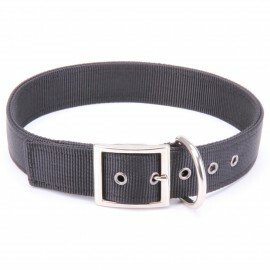 Universal collar for Labrador with nickel plated buckle and D-Ring. 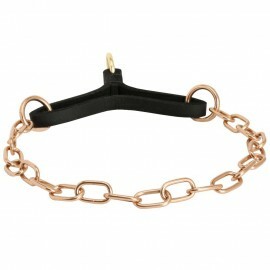 Elegant and secure Labrador collar for daily use. Very strong. Rather wide. Used for Labrador walking and training. Professional processing. Top quality leather. Resistant to rust nickel-plated hardware. High comfort level. Intended for many years of use. 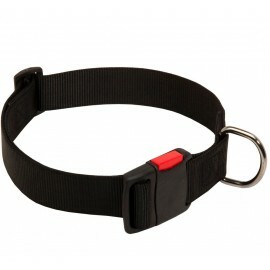 Multifunctional nylon dog collar with quick-release plastic buckle for Labrador. Adjustable size. Nickel-plated welded D-ring for leash walking and training. Put on and taken off with one click. Super strong. Safe. Very comfortable. Indispensable outfit for various Labrador activities. Natural leather dog collar in classic design for walking and training your Labrador Retriever. Well-processed. Rounded leather edges. Massive buckle. Welded D-ring. Nickel-plated fitments are resistant to rust. 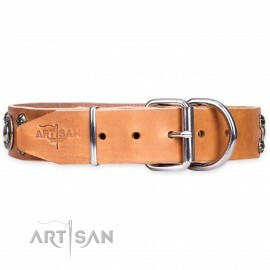 This Labrador collar will serve your dog for many years if properly cared with special leather balms.